Introducing the new M26 Vibe wheel! It is part of the "Milled" collection that brings the best automotive grade paint finished together with incredibly detailed CNC milled accents to create the new semi-gloss black M26 Vibe. Each M26 Vibe wheel has a thick coat of gloss black paint before the CNC department meticulously vertical mill just enough virgin aluminum from each inner spoke to lighten the wheel. 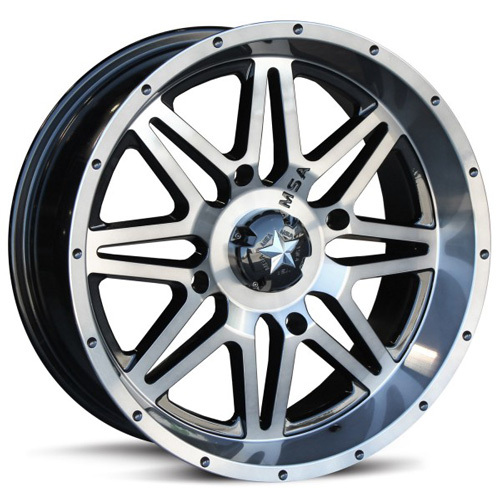 This exposes a beautiful aluminum accent making this truly a 100% unique wheel. NOTES: Lug nuts sold separately. 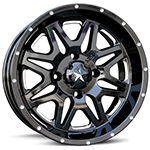 Need these wheels with a set of tires? No problem, we have these wheels in stock. Ask us about our free mounting, and send your request here.